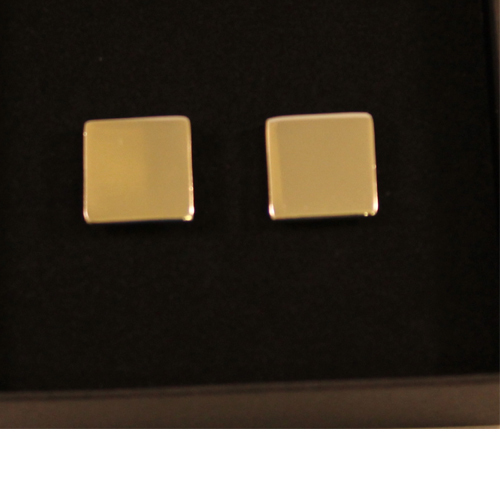 Square Silver Plated Cufflinks in Shiny Finish. Engraving Area: 14 x 14mm. Supplied in a 2 Part Lidded Presentation Box with Foam Inner.